There is no beating around the bush: Alan Jouban got robbed in Brazil on Saturday night. Despite getting knocked down in the first round, he rallied back and put on what seemed like a great comeback performance. He did not threaten to finish the fight in the second or third rounds, but he claimed the center of the octagon and forced Warlley Alves to go wherever he wanted. 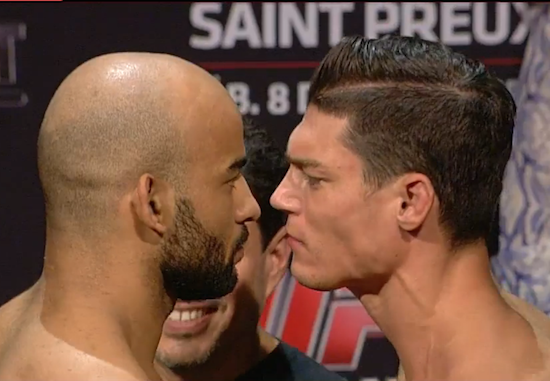 Jouban dictated the pace of the fight after the first and you could see Alves breathing heavily and suffering. Do you think the judges made the right decision?